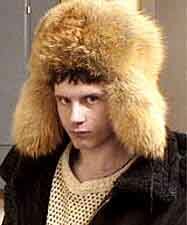 Aleksey Gurtovoy is just a one Russian guy from Siberia, who now lives and works in the United States. He is a technical lead in a small software company MetaCommunications, a job and people which have taught him so much. He was born in early 1977, has been in love with computers since 1989, and still has a lot of (exciting) ideas for his "spare time" in the next few years. The first computer he worked with was DEC PDP-11, and he still has a kind of nostalgia about this amazing machine. He graduated with honors from Krasnoyarsk Technical State University in 1998 with a Master Degree in Computer Science. While being acknowledged as a talented programmer, Aleksey tries to be a better engineer than he is now and hopes that reading good books will help him with that task. He reads a lot... One of his favorite books about his profession is 'The Mythical Man-Month' by Frederic P. Brooks, Jr. He has been working with C++ since 1993, he loves the language and wants to be involved in its progress. Sometimes you can come across his articles in the comp.lang.c++.moderated and comp.std.c++ newsgroups. The other numerous things Aleksey is interested in include patterns, object-oriented methodology and programming languages, organization of software development process and tools & technologies which make programmer's life easier (e.g. compilers). He is not married, but he has in mind one great girl he hopes to be with someday. You can contact him by sending mail to alexy@meta-comm.com.